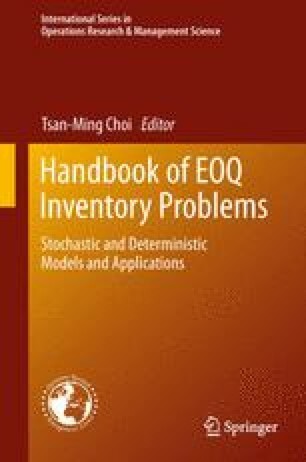 This chapter studies two valuable contributions in the literature regarding extensions of the traditional economic order quantity model. In particular, a base theoretical model for a single-stage system over the infinite horizon and two modes of transportation is presented. The transportation options are truckload transportation with fixed cost per truck, less than truckload transportation with a constant cost per unit shipped, or a combination of both modes simultaneously. Then, an extension of this model to include the all-units quantity discount scheme is studied. Exact algorithms are proposed for computing optimal policies for each case.